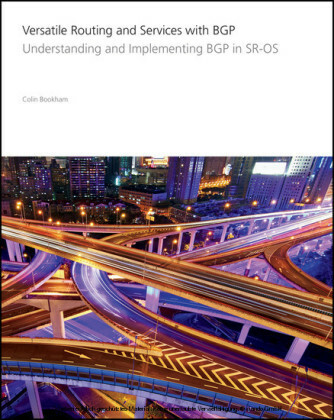 Basic BGP competency is assumed, but the book is accessible even to those with zero familiarity with Alcatel-Lucent's SR-OS. 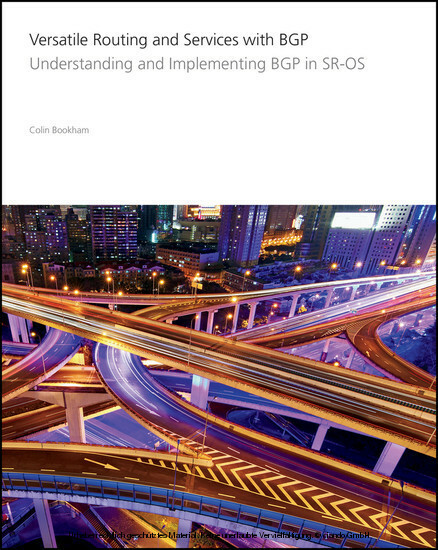 It underscores the idea that BGP is more than just service enablement, and can also be used for infrastructure layer transport - but both layers must be solid, scalable, and able to quickly reconverge. 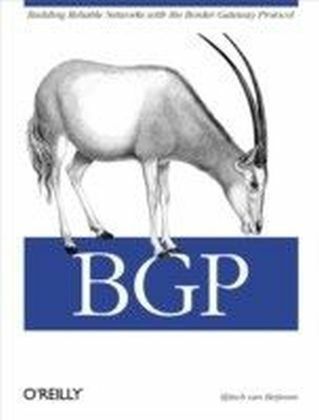 Versatile Routing and Services with BGP demonstrates the creation of a robust BGP control plane within a, secure network, allowing the delivery of flawless, uninterrupted service. 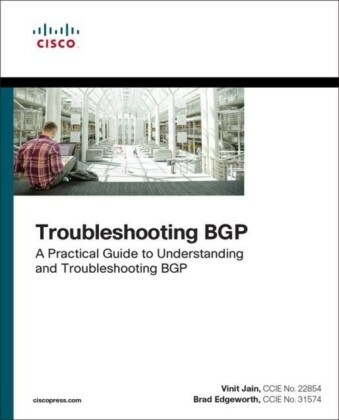 The framework for building BGP/Multi-Protocol Label Switching (BGP/MPLS) based IP Virtual Private Networks (IP-VPNs) relies on Multi-Protocol BGP (RFC 4760) and the optional-transitive BGP Extended Communities (RFC 4360) attribute "Route Target." Multi-Protocol BGP is used for advertising of VPN-IPv4/VPN-IPv6 prefixes, and, because both are labeled prefixes, they follow the encoding of labeled BGP (RFC 3107), where the prefix is constructed of an 8-byte Route-Distinguisher followed by a 4-byte IPv4 prefix or 16-byte IPv6 prefix. The purpose of the RD is to allow the concatenation of RD and IPv4/IPv6 prefixes to create a unique VPN-IPv4/VPN-IPv6 prefix. For VPN-IPv4 the AFI is 1 (IPv4), and for VPN-IPv6 the AFI is 2 (IPv6). Both VPN-IPv4 and VPN-IPv6 use a SAFI of 128 (MPLS-labeled VPN address). When a route is redistributed into VPN-IPv4, a Route Target Extended Community is appended to the prefix. The Route Target Extended Community is a transitive attribute (RFC 4360) used to define the set of sites belonging to a given VPN. When a VPN-IPv4 prefix is received at a Provider Edge (PE) router, it parses the Route Target value and checks whether any locally configured VRFs have an import policy that matches that value. If it does, the route is imported into that VPRN. If it doesn't, the route is not imported into any VPRNs. In short, associating a particular Route Target attribute with a prefix allows that route to be placed into VRFs serving that VPN. If ten sites in a VPN all have a common export and import Route Target value, the result is an "any-to-any" VPN. Output 2-1 shows the base level of configuration required in order to configure a VPRN. The route-distinguisher (RD) is a required parameter when configuring a VPRN, and the VPRN will not become operational until it is configured. 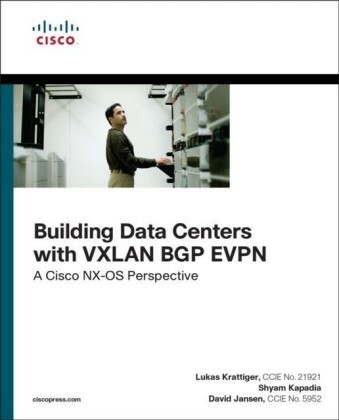 When a VPRN is configured with a Route-Distinguisher but without any Route Target parameters, the VPRN does not rely on any BGP/MPLS IP-VPN control plane for learning prefixes but simply creates a separate routing context frequently referred to as "VRF-lite." The route-distinguisher command is followed by a value that can take three formats but typically uses the type 0 format of a 2-byte ASN subfield followed by a 4-byte assigned number subfield (the remaining 2 bytes are used to define the actual type). To participate in the BGP/MPLS IP-VPN control plane, the definition of Route Target values is required for import and export of VPN-IPv4 prefixes. The simplest method is using the vrf-target command followed by a Route Target value that has the same format as the Route Distinguisher. The vrf-target command allows for definition of a single value applicable to import and export Route Targets as shown in Output 2-1 , or it allows for definition of different import and export Route Target values using the export and import keywords after the vrf-target command, followed by the relevant Route Target values. An alternative to the vrf-target approach for defining Route Target values is to use the vrf-import and vrf-export commands to reference policies constructed within the policy framework. When prefixes are learned in VPN-IPv4, the receiving PE router must resolve the BGP Next-Hop to a GRE or MPLS tunnel before the prefix is considered valid. The auto-bind command tells the system to automatically bind the Next-Hop to an LSP in the LSP tunnel-table, and the keyword mpls means to use any form of LSP, with a preference for RSVP over LDP, and LDP over BGP.